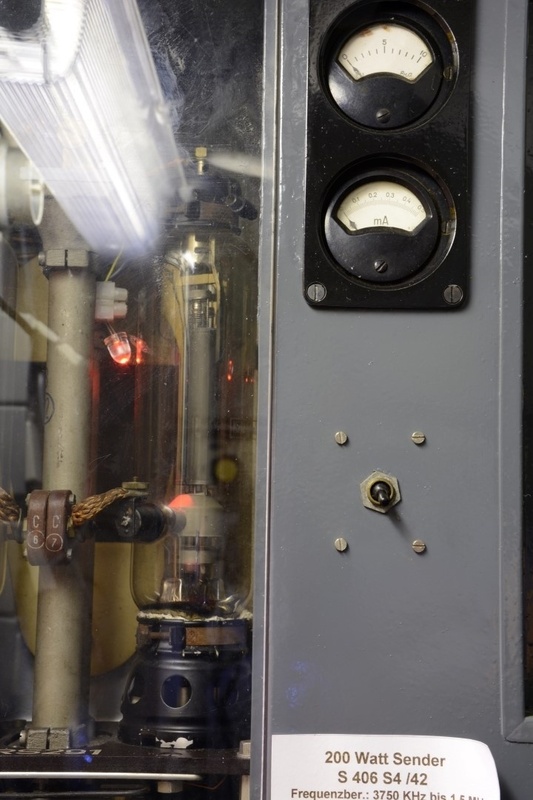 * This is the S 406 S4/42 transmitter, a later model adopted in 1942, and currently on display in the U-995 in Laboe, Germany. * It operated in the 3,750 kHz-15,000 kHz band range, switchable in 10 kHz steps. *I'm sorry about the fluorescent ceiling light reflecting off of the Plexiglas transmitter cover. I tried turning the light off, but then the whole radio room went dark, and the light wouldn't come on again when I first flipped the switch back to the "on" position. Don't play with things that you don't understand!